Complex engineered packaging machines and lines can boost production efficiency - but they can also drag it down. Successful projects require rigorous detailed planning, proper acceptance criteria and commissioning/training, and robust maintenance procedures. Complexity increases substantially, and the likelihood of long-term success diminishes as multiple pieces of equipment are combined for integrated production lines. Factors range from black & white (signaling, controls) to various shades of gray (successive surge capacity requirements) and cross disciplines including electrical, mechanical, safety and process engineering. As complexity has increased with higher speed, increased automation and expectation of lean, efficient operations, more CPG packaging projects have failed to live up to the expectations upon which justifications and production planning were predicated. 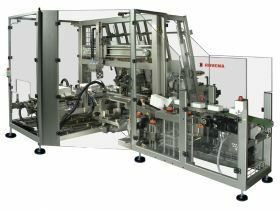 In response the packaging machinery industry has emphasized the value of single source solutions. However, this term means vastly different things to different people. It generates confusion. When you think of single source, for instance, which of the following do you envision? All are viable models. The substantial variations, though, highlight the need to dig a bit deeper in evaluating packaging solution providers. In the vertical bagging realm, single source typically refers to either a common brand of machinery or various equipment integrated by a third party. As a result the term carries very different connotations for buyers and sellers - and it's important to understand context rather than rely on a term which may be interpreted differently than it's intended. One example is the use of the term by global conglomerates. Everyone's aware of substantial consolidation in the packaging machinery business over the past decade. Large global brands have acquired a number of niche machine/technology companies to compliment their overall offerings to growth industries such as pharmaceutical and food packaging. And then....this single source line arrives at a customer facility in different crates, through different customs brokers, with a hope that integration isn't too problematic. That's one definition of single source. There's another simpler definition - one team for all machines: design, engineering, manufacturing, acceptance testing, commissioning, training and support by people who share the same cafeteria. In this case not only is signaling clear to a single EE team, but a common HMI simplifies operation. An entire line assembled, debugged and accepted in the manufacturing facility can dramatically improve project outcomes. That's real single source. And in this model the ongoing customer support is often provided locally by native language speakers with deep application and technical knowledge and local parts inventories. Anyone that's ever lived through the misery of gradual integration can immediately empathize. Missed production delivery dates, cost overruns, persistent skepticism by operators and maintenance and unmet justifications are sadly common. Nearly every facility has experienced at least one of these despite careful engineering planning. The bottom line is clear. Simple semantic confusion (e.g. single source from the same factory and team vs. single source with the same global brand) can make the difference between a predictable commissioning or the unpleasant alternative. But ongoing operations require diligence in the procurement process to ensure that a strong support infrastructure (replacement parts, telephone support, programming capability and field service) are available within a couple time zones and next day delivery. The trend in maintenance staffing is unlikely to reverse, and quite likely to continue. When you compare machines, including replacement vertical baggers, make sure you consider others' experience with support as part of your decision criteria. And not only can lines be more efficiently integrated, but existing lines can also be more efficiently operated. Check out or step-by-step playbook for boosting VFFS operational equipment effectiveness in your facility.